Product #17008 | SKU MDR7506A | 5.0 (based on 2 ratings) Thanks for your rating! 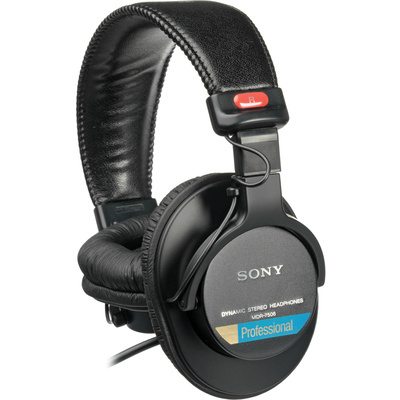 The MDR-7506 is an around-the-ear design and is ideal for use with MIDI workstations, camcorders or other equipment with less than powerful headphone amplification. The headphone has a foldable design, making it convenient to store or transport and its coiled cable allows it to stretch and spring back into place whenever you need a bit more reach.